It was great to be part of Dr Tom Botterill's team, this was such an interesting project to work on. This is me working on Mark II of the prototype. 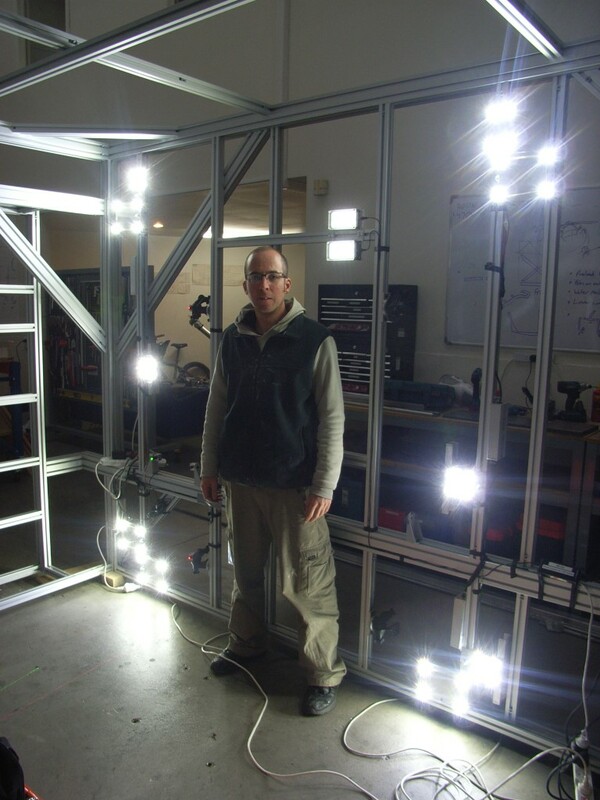 Here I'm building up the LED lighting before the outer metal panels are added. 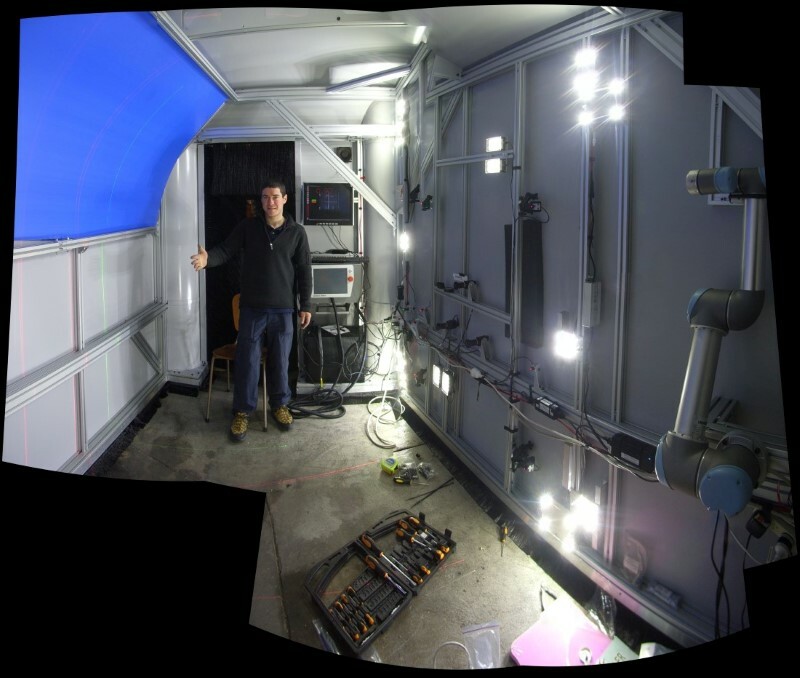 The computer has 3 cameras for vision, they need a lot of light to operate at the fast frame rate required for continuous motion pruning. 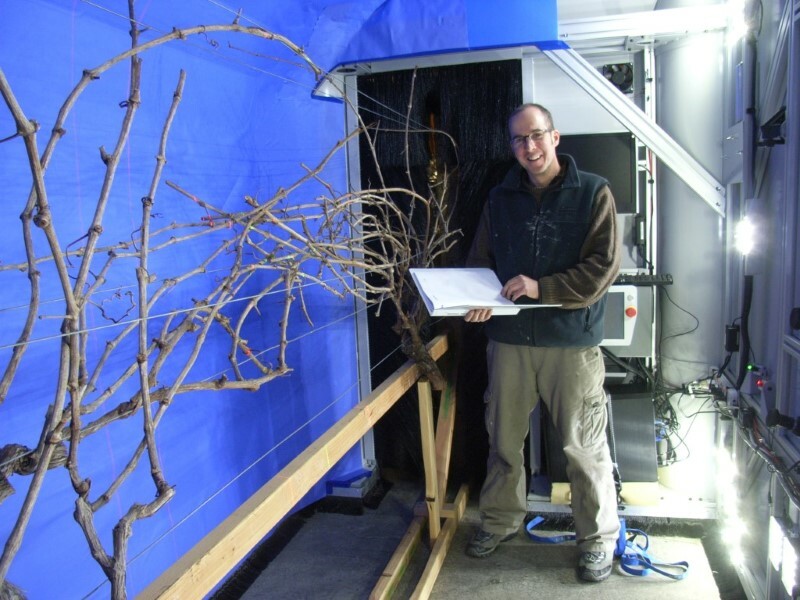 Dr Tom Botteril describing how the computer will build up a picture in 3D of the vine as it moves along the rows. Me proudly standing in the finished, working, vine pruning robot.